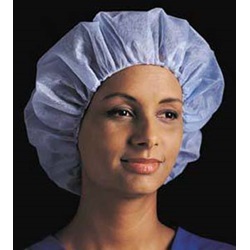 Bouffant cap made from non-sterile spunbound polypropylene that is lightweight but durable and permits increased airflow, keeping the wearer cool and comfortable during long surgical procedures. Latex-free. 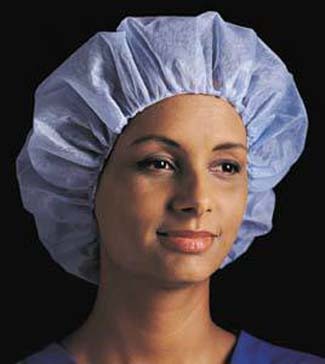 Blue cap with elastic band for closure. Sold 100 per box.